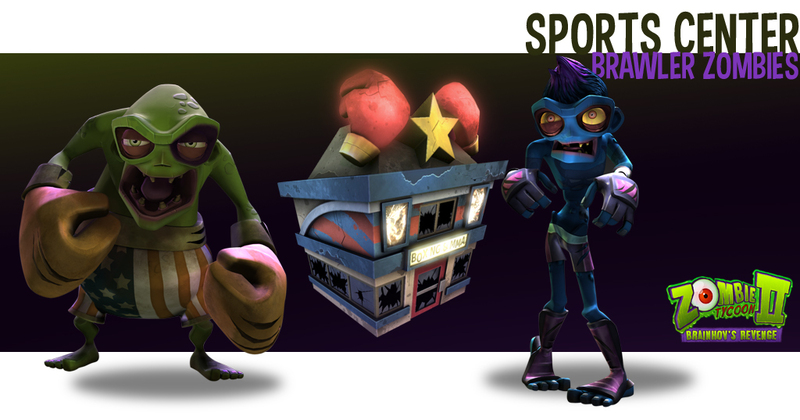 Brawler zombies are pumped-up starter zombies. They hit harder and are much, much tougher. Every time they strike, they have a chance of stunning their target, making them perfect front line units. Cleaner zombies can move through and neutralize chemical waste, but more importantly, they explode upon death, dealing damage to all nearby enemy units and leaving puddles of toxic goo on the ground. 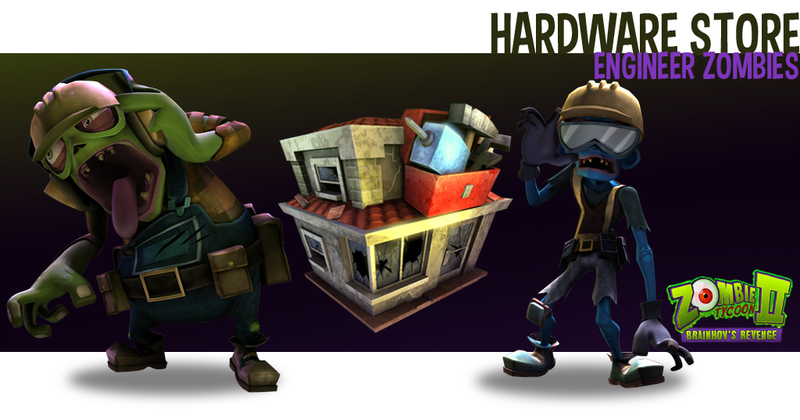 Engineer zombies are not battlefield material. But they are highly tactical units with the unique ability to capture buildings twice as fast as any other. These are better used when you feel that your army is at no risk of engaging the enemy in close combat. 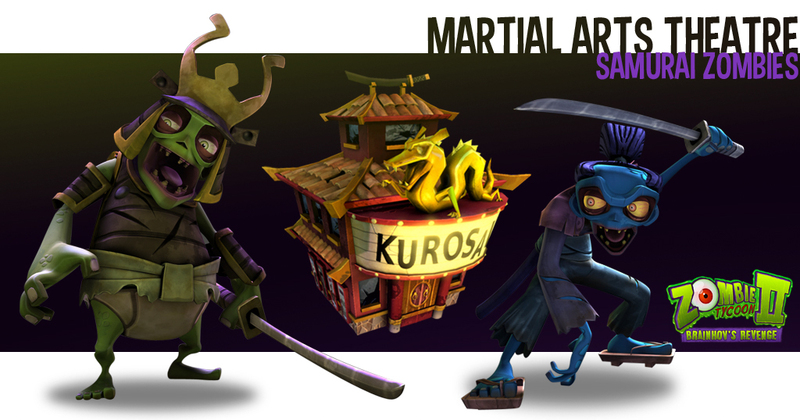 Samurai zombies are swift and deadly. They hit a lot harder than brawler zombies but are more fragile. With the ability to charge at their victims, they are perfect for assaulting unsuspecting squads of engineers or scavengers. 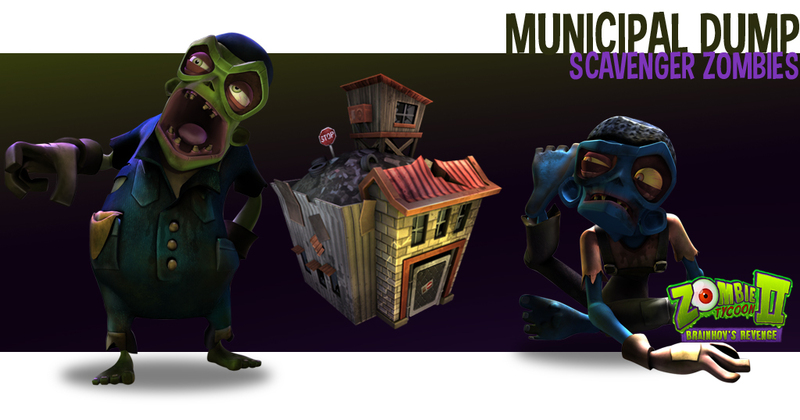 Scavengers are the only zombies with the ability to attack from a distance. 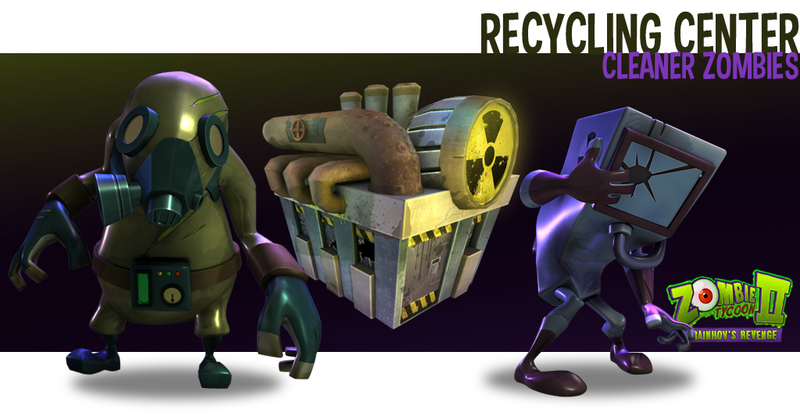 They can throw garbage, TV sets or sign posts at their enemies. Team them up with brawlers for a killer combo! The silly-looking Scout zombies are perfect for spying on your enemies. 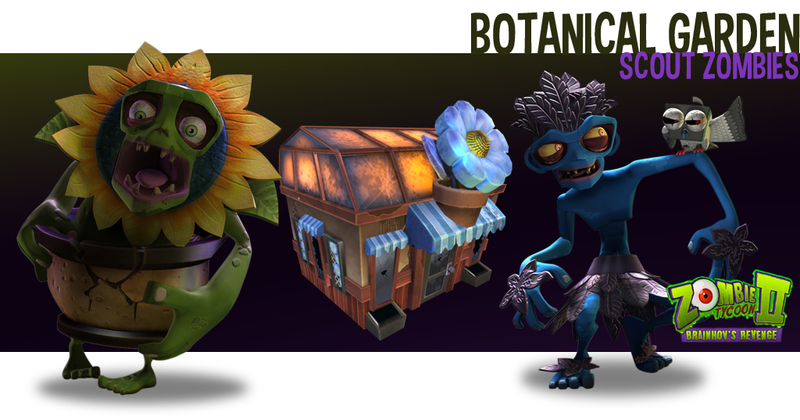 These fast-moving units skulk around unnoticed by neutral humans and structures, and when they take root they become completely invisible and regenerate health. Tycoon and Brainhov are clashing on Steam now! And we’re in the top 100!